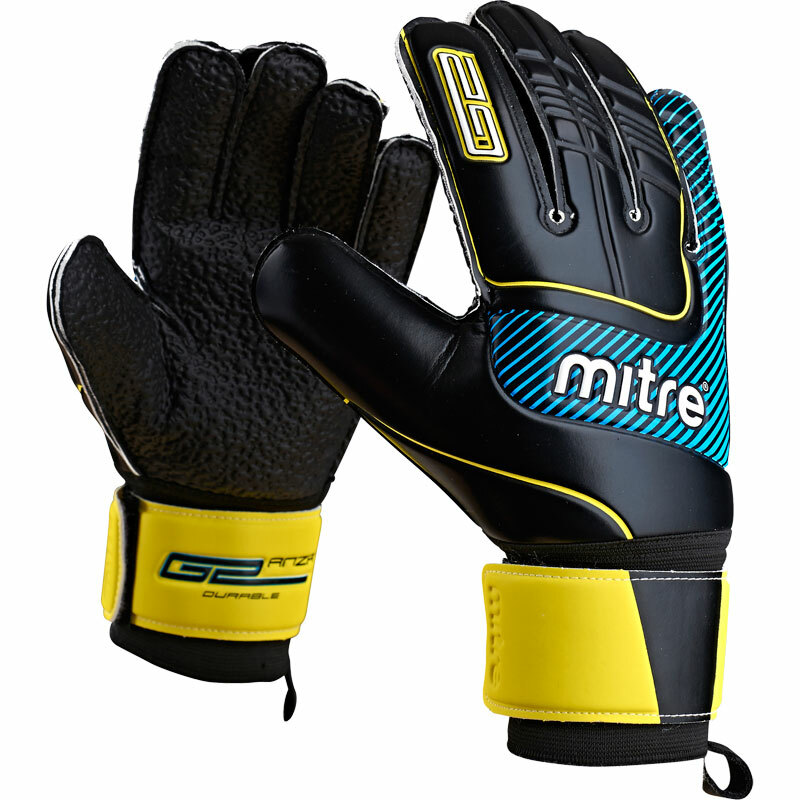 Mitre ® Anza G2 Durable Goalkeeper Gloves are tough goalie gloves made from 2x2mm M-Tech latex - perfect for astro turf and other rough surfaces. Developed for maximum comfort - helping you concentrate on the game and keep those all important clean sheet. Fully elasticated cuff with wrap around strap for optimum fit. Flat palm construction helps you tip shots past the post - and keep a clean sheet.